To assess the capacity and facilitate the development of CSOs, as organizations but also as support providers for former victims, through training, networking and best practise exchanges and publication of reports that will advocate for their rights. To support the economic empowerment of former victims through a small grant scheme that will finance a number of new and effective economic empowerment initiatives. To create a referral and self – support network of former victims through the implementation of a peer support program that will train former victims to become peer mentors. The application package including the “Guidelines for Applicants” and related information on the requirements and the application procedure is available in the following links: www.kmop.gr, www.differentandequal.org and in the project website www.bashkeperfuqizim.eu. The call will remain open for a two month period, March 18th, 2019 until May 17th, 2019. Through the sub-grant scheme, the project will finance medium-sized projects, according to relevant thematic fields. The overall budget of the Call for Project Proposals is 126,314.00 EURO. The deadline for the submission of applications is May 17th, 2019 at 17.00 local hrs. This sub-grant scheme is dedicated to local civil society organizations that are registered and operate in Tirana, Kukes, Diber and Saranda. 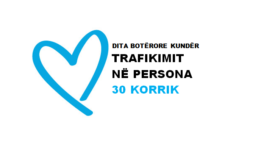 On the 28th of March 2019 the project partners (KMOP and D&E) will organize a 1-day info session in Tirana for potential grant applicants to inform them about the Call and to provide guidance on developing succcessful grant proposals. Prior announcement will be made in the following days for the venue, agenda etc. 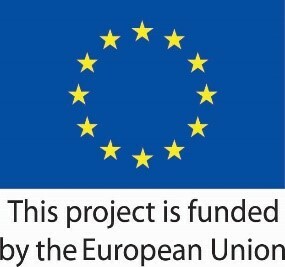 Applicants are encouraged to inform the Sub-Grant Authority (represented by KMOP) if they intend to apply for the Sub-Grant Scheme by sending an e-mail to sgm@kmop.eu within April 5th, 2019.